A fantastic course for fundamentals. Learn the foundational "oroshi" pattern, building from a dramatic, slow beginning to a high-energy conclusion. Used extensively in classical Japanese music, as well as contemporary ensemble taiko, oroshi is the perfect challenge of stance and strike techniques; from full-body, independent hits to high-speed roll. 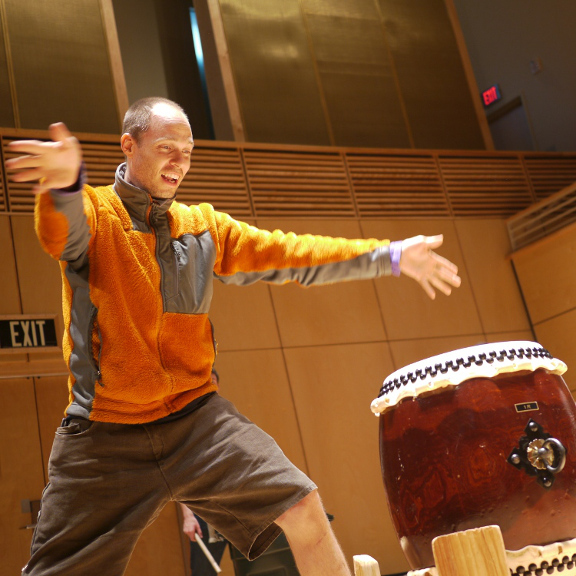 Experience the joy of playing a confident taiko oroshi with others!